"In my view success can be defined in one word "Perseverance". It's the one thing I based my career on. It's what kept me going against the odds of swimming against people who were 1.5 times my size, with more talent, or with access to far better facilities. I was born premature and was a very sickly child. The doctors advised my parents to get me into the water to beat respiratory ailments. I swam my first race at 7, and came second last. I hated it. I've always been very competitive and hate to lose. At 7, after losing that race, I was probably one of the most disturbed people on the planet and told my dad I'd keep swimming till I won. That's how I began swimming, fell in love with the water, with racing, and never stopped. Perseverance - that's how I spell success." - Rehan Poncha. There is nothing more inspiring than being with someone who has lived a life of deep discipline, determination and beaten the odds to taste success. Rehan's is an inspiring story - from beating bronchitis and the natural disadvantages of being a premature baby, to becoming an Olympian and then wanting to do it all over again with Golf! And he tells it very well, holding audiences as much with his intellect and wit as his genuinely easy connect with people. Inspiring and deeply motivating Rehan's story focuses on dreaming big and never giving up. Using real examples from his life of perseverance, hard work and sacrifice, Rehan's story holds practical lessons for the challenges in every journey - be it the life of a student, a corporate executive, an athlete or a leader. 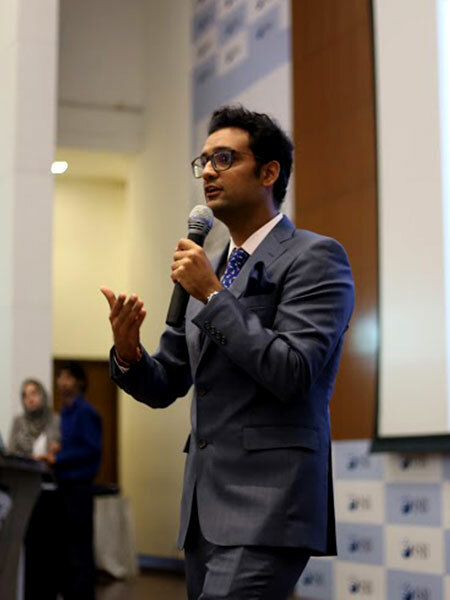 Rehan's past corporate speaking engagements include sessions at the CII across India, CLO forums, bankers and management consultants, corporate houses such as J.Walter Thompson, Johnnie Walker India, Reliance Brands, Kamani Oils etc. and leading educational institutes such as Symbiosis, NMIMS, Thapars and a host of schools across the country as well.